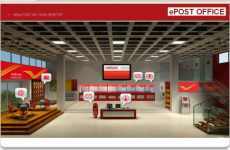 Global IT major HP is understood to be in the last leg of lapping up the largest of the eight contracts under the India Post IT modernisation programme. The deal is estimated to be in excess of Rs 1,000 crore, making it one of the largest e-governance contracts in India. The US-based company has emerged as one of the lowest bidders for the Core System Integrator (Core SI) contract after the commercial opening of the bids. HP, one of the three finalists after technical evaluation, has quoted Rs 995 crore (Rs 9.95 billion) for the contract, according to sources. The other two finalists - TCS and HCL Technologies - have quoted Rs 1,049 crore (Rs 10.49 billion) and Rs 1,264 crore (Rs 12.64 billion), respectively. "Since the Department of Posts (DoP) is weighing equally both technical and commercial aspects, HP has almost won the contract," a highly placed source in one of the bidding firms told Business Standard on condition of anonymity. Sources also said since the Rs 995 crore quoted by HP is the net present value, the total contract value is expected to be between Rs 1,100 crore (Rs 11 billion) and Rs 1,200 crore (Rs 12 billion). An HP spokesperson declined to comment. The spokesperson for TCS said "we don't comment on deals". On being asked, a senior official in the DoP said that the department would not be able to comment since "the evaluation is still on" for the project, which aims to transform the DoP into a 'technology-enabled, self-reliant market leader'. The bidding was participated by nine vendors, including Accenture, IBM, Capgemini, Infosys, Wipro and Sify. In August 2011, the Cabinet Committee on Economic Affairs had approved the DoP's IT modernisation programme for an overall outlay of Rs 1,870 crore (Rs 18.7 billion). The department had split the programme in eight projects, for which eight requests for proposals were issued. Of these, Infosys, India's second-largest IT services player, bagged the first - Rural ICT system integrator - that is estimated to be worth Rs 100 crore (Rs 1 billion). The company has also emerged as the lowest bidder for the financial services system integrator contract.